Before you get all judgy and start vomitting out statements like "I'm so over this bacon craze," you should really just shut your face and try this beer. 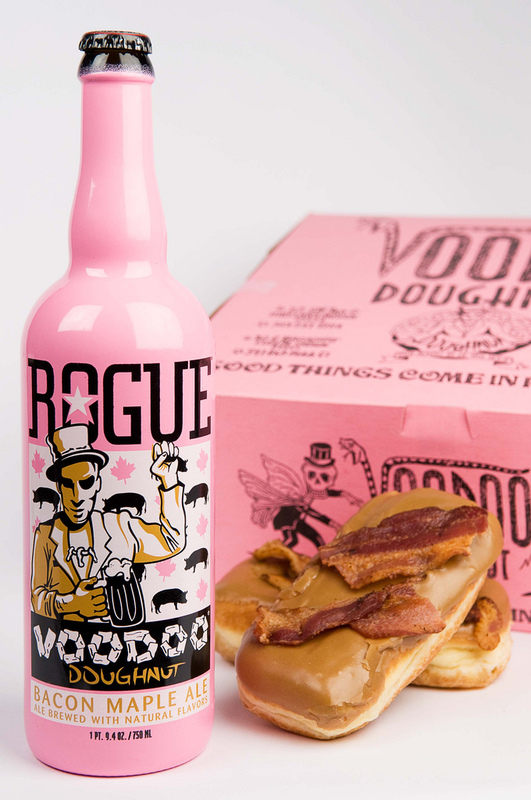 Joining forces with the famous Voodoo Donuts of Eugene and Portland Oregon, Rogue Brewery, which also hails from the same state, thought that the only thing better than pork and maple flavours combining would be the addition of beer, and having tried it, we completely concur. For whatever reason...this works and works well, and novelty aside, is a wonderful brown ale that would be popular at your next Sunday brunch. However, it can be a little hard to find unless you're in the Pacific Northwest, but you can always buy direct from the source here.